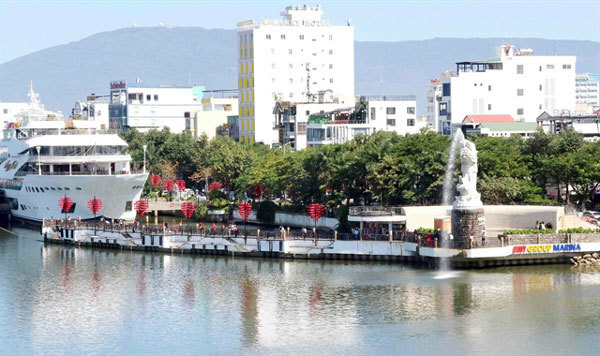 Director of the city’s IT Department Nguyen Quang Thanh said at the launch of the city’s plan towards 2030 with a vision to 2045 yesterday that it would be built in three phases with total investment of VND2.14 trillion (US$95 million), of which 30 per cent would come from the State budget. Thanh said the city had approved the framework the plan in 2018 with information and communication technology (ICT) infrastructure and database. It will include smart management, smart economy, smart environment, smart living, smart citizens and smart traffic to connect the city to the 126 ASEAN ‘smart city’ network, Thanh said. Da Nang was the first city in Vietnam to launch an e-Government system in 2014, and transferred the system to 16 cities and provinces in 2016. According to a report, Da Nang’s e-Government system had been used by 225 agencies and 4,000 users. Da Nang had provided 1,200 online administration procedures, including one-stop shops, residential management, public transport and water supervision through the e-Government system, while free wireless internet services offer a maximum of 20,000 connections in public places, according to the city’s information and communications department. Thanh also said the plan would raise funds from partners including the Viet Nam Posts and Telecommunications (VNPT) Group; Software giant FPT, Viettel Group, the World Bank, Vietinbank and KOICA and other ODA. Nguyen Thanh Phuc from Ministry of Information and Communications said the plan would save VND1 trillion ($44.2 million) and 20 per cent of other costs for human resources in the city. Phuc said the plan would also help promote transparency, while improving administrative reform. He said residents would have easy access to clear information on land, administrative procedure, planning, social services, disaster warnings, healthcare and education online. The city’s IT infrastructure was available for smart connections for air control, water, garbage, meteorology and energy agencies. It could also provide earthquake and tsunami warnings, and data on flooding, erosion, sewage management and food safety. Last year, Da Nang’s information technology and communications industry earned $1.23 billion in revenue, of which 68 per cent was from the IT and electronics manufacturing sectors, contributing 5.5 per cent to Da Nang’s Gross Regional Domestic Product (GRDP). The city’s software exports grew in 2018 to $78 million. There were 3,000 IT businesses with 25,000 jobs, of which 43 per cent were in software services and IT outsourcing. According to the department, Japan and the US were seen as the two key markets for Da Nang’s software exports, accounting for 72 per cent of export turnover in 2018. The city has launched the first stage of the 341ha Da Nang Information Technology Park (DITP) – central Vietnam’s ‘Silicon Valley’ - with total investment of $278 million. The park will create revenue of $1.5 billion each year with 25,000 jobs and a satellite city of 100,000 people. Da Nang’s software park has been recognised as a centralised information technology centre, the third in Vietnam after Hanoi and HCM City.